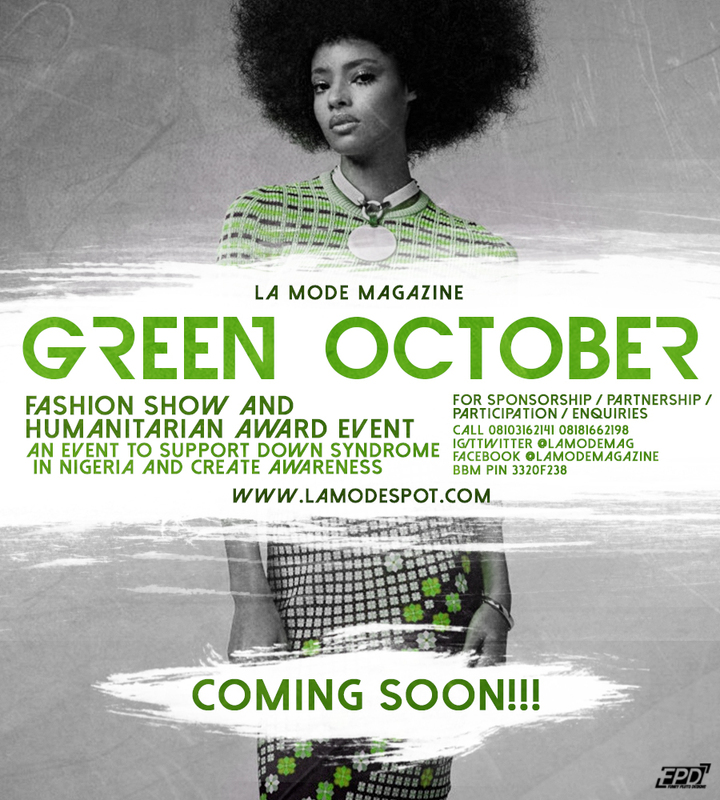 Leading Nigeria Fashion Magazine, La Mode Magazine at a press conference held in Lagos on July 1st 2015 unveiled “Green October” a fashion Show and Humanitarian Award event slated for October1, 2015. The Event is first of its kind and is geared towards supporting people living with disabilities this maiden edition is focused on Down syndrome in Nigeria. The debut Event shall feature Designers and Models for Runway and will be awarding meaningful Nigerians that have contributed significantly to humanity. We therefore call on all Interested Designers, and all prospective participants/exhibitors that registration has kicked off as the Event details will be announced shortly on all our platforms.